Attend joint SPIE/OSA chapter seminars! 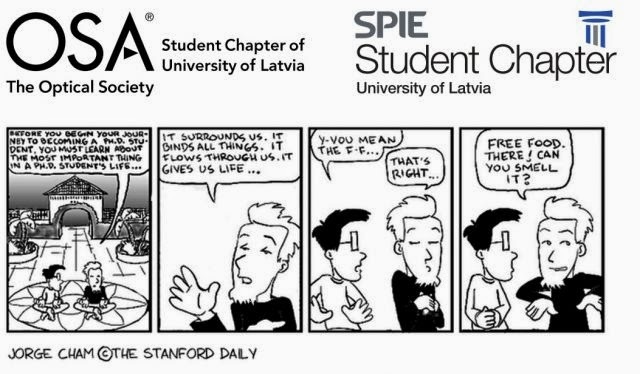 Starting fall 2013, SPIE and OSA student chapters of University of Latvia will jointly organize seminars on Tuesday afternoons at 17.00 every second week. Everyone is welcome to participate! First seminar will be held on October 1 at Faculty of Physics and Mathematics, Zellu Str 8, room F219. The topic is "Density matrices". Lecturer: lead researcher at Faculty of Physics and Mathematics Linards Kalvāns. The next seminar will be held on October 15 at Faculty of Physics and Mathematics, Zellu Str 8, room F219 at 17.00. It will be a continuation to the first seminar, however, you are welcome to come also if you didn't attend the first one. 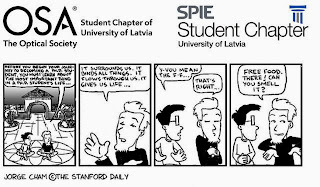 Lecturer: lead researcher at Faculty of Physics and Mathematics Linards Kalvāns.